Does ‘Slow and Steady’ Actually Win The Race? Home Articles Does ‘Slow and Steady’ Actually Win The Race? Do you vote for the belief that everything is moving very fast? 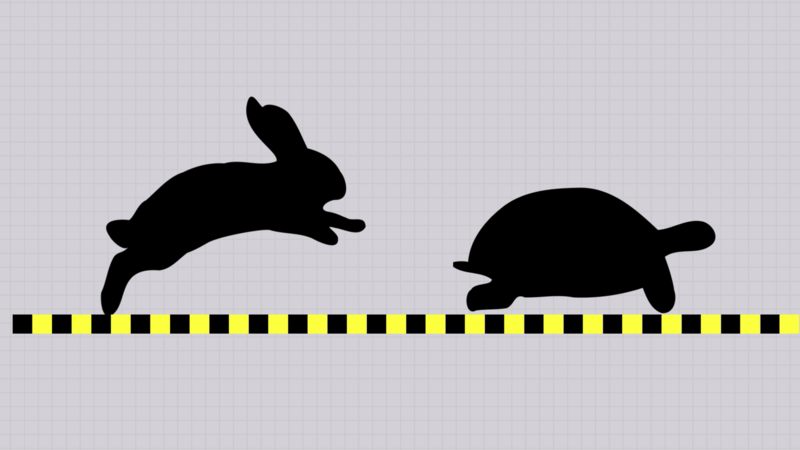 Most of us grew up listening to or reading the story of the race between the Hare & the Tortoise. There’s no way we would have forgotten the moral of the story ‘Slow & Steady Wins the Race’! We further grew up and challenged the very logic by asking the question, “How many times would a hare go to sleep in the middle of a race such that the Tortoise could win the race?” It’s essential to validate the assumptions underneath, and hence it’s a very valid question. When we further grew up and learned how to set or change context, we figured out that the context is decisive. Now, let’s change the context to ‘Life’. With this context, I want you to enjoy ‘Slow Dance’ by David L. Weatherford — a poem that my business partner Avinash Vaidya shared with me. I really enjoyed this poem, learned from it and it even got me motivated to write this article. I feel winners are probably those who understand the meaning of life well (slowly) and live it steadily. Now, if we change the context to management, you will observe that successful people spend enough time (slowly) in Thinking / Strategizing / Planning and are steady in Performing / Executing / Validating. This list could be endless…because we all know that context is decisive.